Shri Vinayak Packaging Machines Pvt. Ltd. has maintain a good stature as one of the best quality Manufacturer, Supplier, Exporter of Automatic Hot Stamp Machine. It operates at the speed of 0 to 100 pcs per min, and its sturdy construction ensure long life use, with less maintenance. We can also manufacture customizable hot stamp machine Ribbon Base for use in the decoration of automotive parts, hand & power tools, consumer products, sporting goods, home appliances, and other. 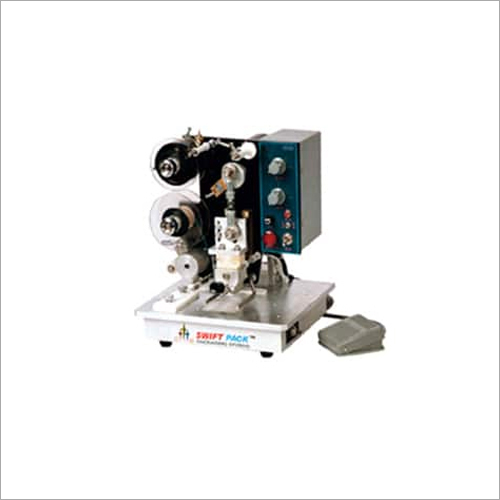 These machines are a perfect combination of safety, speed, and repeatability to ascertain the finest quality products. Some of the unique traits of our company are quality workmanship, innovative engineering, and thorough attention to client's service. We can provide clients with detailed operating training or manual, which will ease the machine's operation and enhance client's production rate.